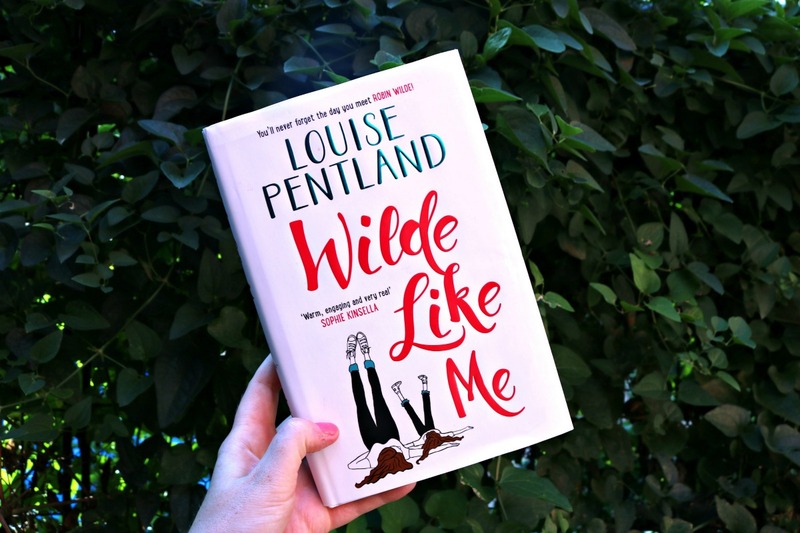 Wilde Like Me by Louise Pentland might just be the perfect addition to your summer reading list! Given that I’m bundled beneath layers of blankets with an autumn candle burning and Hallmark mystery on my television right now – it feels a bit strange to approach the topic of ‘summer reading’. But, low and behold it is only the start of August and we’ve plenty of summer left to go. Gray and gloomy forecast aside. In a nutshell, I’m over the MOON about today’s post because I honestly don’t think I’ve ever wanted or anticipated a book more. 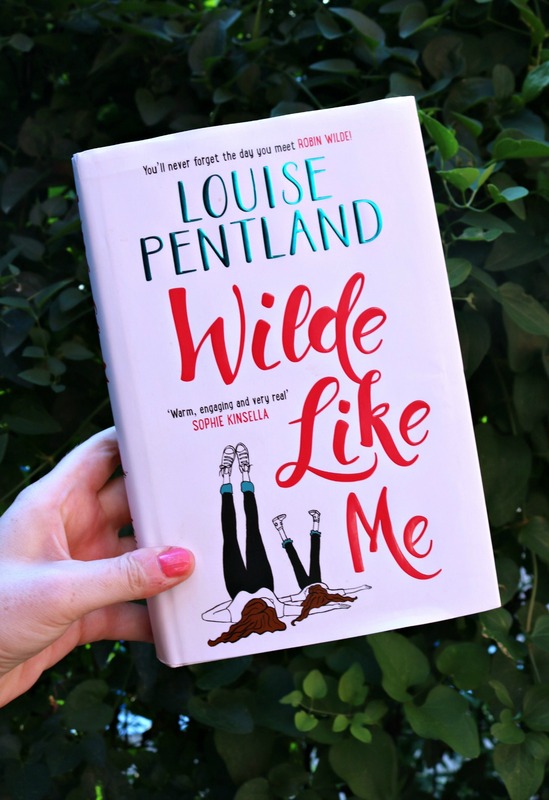 Having followed Louise Pentland and her adventures over on YouTube and her blog for several years, I’ve had it in my head that she’d make a brilliant author for ages. If you don’t know who Louise is, she’s a ‘beauty and lifestyle’ YouTuber/blogger, who has a DARLING little girl named Darcy and shares her adventures as a career woman and mom with the rest of the world. Louise has such a comforting way about her, so much so that when I’m having a rubbish day I put on her latest video and instantly feel better. She’s laugh out loud hilarious, adorably awkward and has a real knack for words. In an Instagram world where everyone is trying to put their best foot forward, Louise’s charming relatability is refreshing. She might not be perfect, but she is a loving mother, caring friend and a master at marching to the beat of her own drum. I think it was late last year when Louise announced she was penning her first novel and I was ready to pre-order that baby in a hot second! To me, she seemed like a natural to be an author. Whilst getting ready in the morning, I’d watch Louise talk about writing the book for months…and months. It was the first time I’ve really followed someone through their writing journey, with all the ups and downs, on the road to publishing a book. Needless to say, I got quite invested in this lil’ book and am delighted to have it in my hands! At long last, the book was released at the end of June! Of course, Louise is based in the UK and her debut novel Wilde like Me hasn’t yet hit the US…but that didn’t stop me from ordering it from Amazon and waiting and waiting for its arrival. Wilde Like Me follows the story of Robin Wilde, a single mother trying to keep it all together – despite looming feelings of loneliness. After some persuading, she gives ‘online dating’ a try. A couple disasters later, she meets a man named Theo who just might be Mr. Right. But is he? 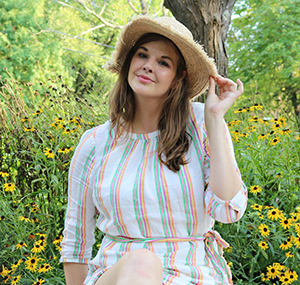 Faced with dating challenges and exciting new opportunities in her career, Wilde like Me is the story of Robin truly coming into her own and finding happiness that comes from within. Author Sophie Kinsella describes Wilde Like Me as the perfect HUG of a book and I cannot agree more. Feeling a bit fried from long to-do lists, hectic schedules and such – it was nice to turn to this book at the end of a long day to just relax and unwind. Louise writes literally as she speaks, so if you’re familiar with her YouTube videos you will truly feel right at home. While perched outside by the pool or laying in bed at night, I truly felt like Louise enveloped me in her corner of the English countryside. I don’t want to give too much away about the plot, but there’s also an exciting trip in the book that reminds me so much of certain experiences I’ve had in my life and inspired me to keep reaching for the stars (so to speak). If anything, you can bet that Robin Wilde is a character you will NO DOUBT relate to. We all have days when we feel like nothing we do is good enough. Days when we want to bury our faces in sweets, skip a shower and tune out the outside world. We have days where things don’t go quite as planned. Days where we might have a bit of a personal crisis in public with strangers giving awkward, shaming looks as they pass by. Days where we want to crawl into a hole essentially. But, while we all have our lows – we also have days where great things happen. Things beyond our wildest imaginations. Essentially, Wilde Like Me is the perfect combination of both. Reading Wilde Like Me, I couldn’t help but think about Bridget Jones. Robin Wilde is no doubt, VERY different than Bridget and the circumstances of the story are not very much alike at all. But that impossible not to love, British female character who has charming highs and lows? Yes, that’s all there. I EVEN got way ahead of myself and starting mentally casting characters of Wilde Like Me for a film adaptation. Which yes, might be jumping the gun a bit…but I think the world needs more stories like this on the big screen. Stories centered around women and our complicated lives (and hearts). Louise has already announced that she’ll soon begin work on book #2 and I’m hoping Robin Wilde turns into a whole series of books that I can curl up with well into the future. There was a time in my life when I looked down on ‘chick lit’ books and refused to pick up a book that without ‘substance’ to it. But these days, I just can’t seem to finish those heavier novels. My mind seems to be racing all of the time and turning to a “chick” book that’s comforting, feel-good and a breezy read is just what I needed. In my mind, it’s better to read something lighter than to read nothing at all. Right? Right. And so, if you’re in the mood for something with charm, humor and heart…I think you’ll absolutely love Wilde Like Me. If you’re looking for the next War and Peace, keep looking. But for a feel-good book, I thoroughly enjoyed this read and highly recommend picking up for a nice mental escape. Louise writes in a way like she’s a good, life-long friend of yours and you’ll just feel right at home in Robin’s adventures. And now, the wait for book #2 sets in…..
Have any more summer reading suggestions for me? Let me know! Here’s to the Dreamers and ACHIEVERS!